Spare Parts Puppet Theatre with the kind support of JM Wright Memorial Fund (held by the Fremantle Foundation) will be offering special Asulan interpreted performances for our in theatre performances of The Farmer’s Daughter and The Night Zoo. Inspired by real-life stories from rural Australia, The Farmer’s Daughter tackles themes of change and resilience while celebrating the lives of the people who live and work on the land. This show explores the bond between a girl and her grandfather in an astounding visual celebration of the powerful relationship of people and the environment. Puppets, performers and lights vividly recreate rural Australia and invite a deeper understanding of the families who call it home. One night, her dream takes her on a one-of-a-kind visit to the zoo, where she discovers the remarkable joy an animal can bring into her life. 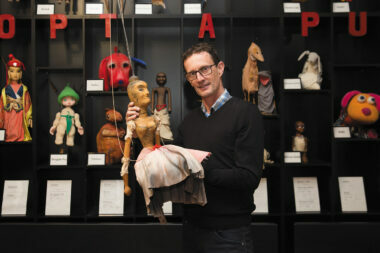 The Night Zoo features rod puppetry and costume puppets to bring multiple characters to life. The Night Zoo explores the special connection between humans and animals and teaches students the importance of empathy and caring for a living thing. Please telephone 9335 5044 to find out more.